"Backed by his new band - a well-credentialed group of musicians including guitarist Jonny Polonsky who also played on the album, Joey Kennedy on keys, Scott Seiver on drums, Mark Noseworthy and Zak Schaffer on guitar - Yorn will preview the tour with a special album release show at the Roxy in LA on June 24. Tour highlights include multiple nights at LA’s Henry Fonda Theatre, NYC’s Webster Hall, and Chicago’s Park West. 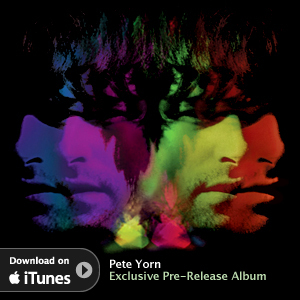 "Pete Yorn is currently on the road with Coldplay, through June 4. His first album in three years, Back and Fourth, marks a bold new chapter for Yorn, who recorded in Omaha, NE , with producer Mike Mogis (Bright Eyes, Rilo Kiley). Columbia 's Co-Chairman Rick Rubin also helped guide the project. The result is Yorn’s most personal statement to date." "Back and Fourth follows Yorn’s first three albums, which he considers a trilogy, and is his first album in three years. The songs on Back and Fourth range from lilting mandolin lullabies to bracing anthems. But there’s a thread running through the album - an organic feel to the arrangements, a careful pacing to the sequence, a penetrating truth to the stories - that’s unmatched by anything else in Yorn’s catalogue. 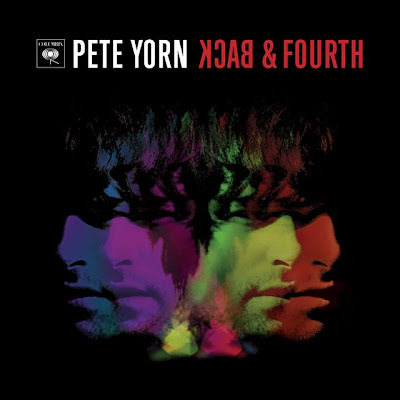 "Back and Fourth sounds like no other Pete Yorn record because it was made like no other Pete Yorn record. For the first time, Yorn wrote lyrics before composing melodies, resulting in his most personal songs to date. While Yorn played virtually all the instruments on his first three albums, he assembled a top shelf band for Back and Fourth, including drummer Joey Waronker (Beck), pianist/arranger Nate Wolcott (Bright Eyes, The Faint, Rilo Kiley), guitarist Jonny Polonsky, bassist Joe Karnes (John Cale), and backing vocalist Orenda Fink (Azure Ray).